The NFL announced on Thursday that Hall of Famers Orlando Pace and Jackie Slater will announce Rams draft picks from Nashville later this month. The league is having 64 legends and active players announce picks during the second and third round at the NFL Draft. Per the NFL’s release, Round 2 Draft selections will be announced by previous NFL club first-round picks, and Round 3 will be announced by players who were drafted in later rounds. Pace was the No. 1 overall pick back in 1997, when the Rams traded up to select what would be one of the cornerstones of the Greatest Show on Turf and a key member of the Super Bowl XXXIV champion Rams from the 1999 season. The famed left tackle was enshrined into the Hall of Fame in 2016. 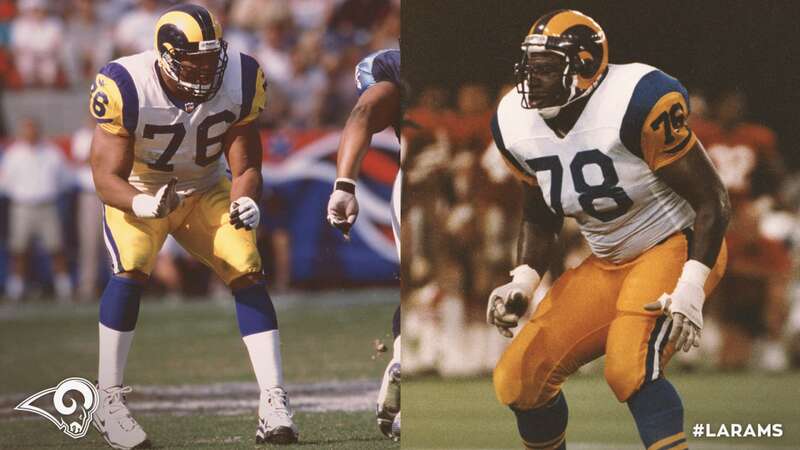 Slater was a third-round pick back in 1976 and played his entire 20-year career with the Rams organization, becoming a seven-time Pro Bowler and three-time first-team All-Pro at right tackle. Slater was enshrined into the Hall of Fame in 2001. Pace and Slater are two of seven Hall of Famers among the 64 current and former players who will announce picks. While Pace is slated to announce Los Angeles’ second-round pick, the Rams do not currently have a Round 2 selection. There’s certainly a chance the club could trade back from No. 31 overall in the first round to gain a selection, however. The Rams also currently have a pair of third-round selections at No. 94 and No. 99 overall. The NFL Draft will take place from April 25-27. 2 Weeks.......Let's get to Draft Day. Re: If you need a date............I can make it.